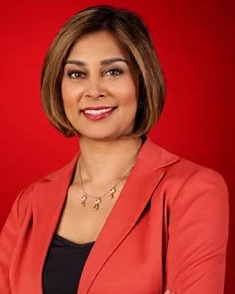 The beautiful lady with an infectious smile Zain Verjee is a television presenter by profession. 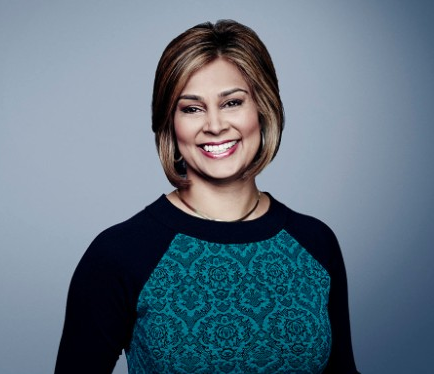 At present she is working for the globally recognized News cable CNN. She is CNN’s State Department correspondent. She is the co-anchor for the show titled ‘Your World Today’ with Jim Clancy. She belongs to Canadian nationality and South Indian ethnicity. She was born on 11 February, 1974. She grew up in Kenya and later migrated to Canada. She completed her graduation from McGill University at Montreal. She did her post graduation from York University which is at Canada. Zain is a sensible and hardworking journalist. She has worked real hard to get wherever she is today. She worships her work. She never underestimates her job. She understands the requirement of her job to look great. Thus, she cares about her appearance. With the height of five feet and nine inches, she has a slender built and she has maintained her frame by working out thrice a week. She is sophisticatedly dressed during her on-air shows. She proudly shows off her beautiful long legs and her curves. She started her career by volunteering at the local radio station in Kenya. Her career in journalism started with Kenya Television Network. She worked as an anchor, producer and documentary presenter for the channel. During her stay, she hosted The Third Opinion, which was a political talk show. She demonstrated her anchoring skills and her expertise in the political affairs through the program. She also worked British Broadcasting Corporation (BBC) though for a short period. And finally after working for different networks, she quit and moved to United States. She joined CNN. She covered many breaking national and international stories for the network. Her cover stories include India-Pakistan Agra Summit, conflict in the Middle East, the trail of former Yugoslav leader Slobodan Milosevic, the Sept 11, 2001, terrorists’ attacks and many more. She has also hosted several shows for CNN including World Report, World News, Situation Room, World Today, Q & A. She has interviewed great leaders like Bill Clinton, former president of Pakistan Benazir Bhutto. She is often addressed as natural conversationalist. She is already thirty nine years. But she hardly looks her age. She has maintained herself terrifically over the years. She is extremely successful and reputed presenters of today’s time. However, she has not found that love of her life. She is not married with anyone and does not bear any husband. She likes to keep it a low key regarding her personal life. She enjoys her personal space and never talks about it in media. Since, she has not married anyone so that it’s obvious that she’s never been through traumatic situation of divorce ever. She does not have children of her own either. It’s unclear whether she has a boyfriend or not, her relationship status is unknown. Apart from being an anchor, she is also the writer and author. She has published a book titled ‘Live & on Air’. Her book is about a young girl’s experience going to Nairobi to Kenya to pursue her dream of becoming a journalist. She is doing great in her professional life. She is enjoying her work and her employers are happy with her. They are paying her handsome salary and she’s not complaining. Her net worth is not revealed by any source though. She is doing fairly well for herself. She is successful, she’s rich and she’s beautiful, she’s got all at present to make her happy. She is enjoying her single status to the fullest. Her detailed information about her professional life can be extracted from Wikipedia for her readers. Zain is the co-anchor for the show titled ‘Your World Today’ with Jim Clancy. She is sophisticatedly dressed during her on-air shows. She has also hosted several shows for CNN including World Report, World News, Situation Room, World Today.